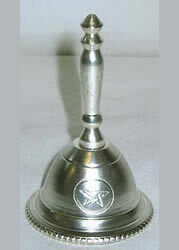 Ritual Altar Bells for Wicca, Witchcraft, Pagan and Goth Spellcrafting, Ceremonial, Ritual and Decorative Use. 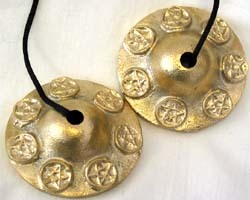 Ancients used Bells to mark Beginnings and Endings, Purifications, Energizing and Cleansing of an Area for Ritual Use, Changing and Enhancing Awareness and for Calling and invoking the Spirits and particular energies. 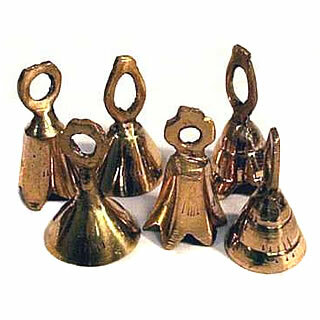 1" high brass bells in various shapes. 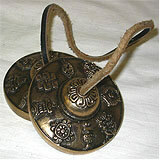 Ideal for ritual & calling the elemental energies. 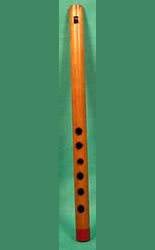 Make a beautiful, high, clear sound. 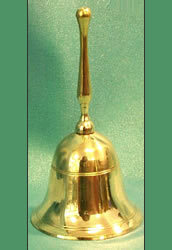 Brass altar bell. Lovely, clear high toned sound. 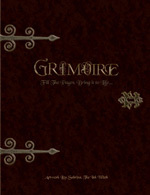 Various sizes and styles. 4 3/4" high. 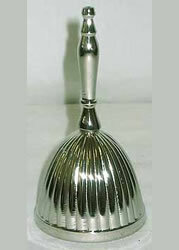 Silver-plated 3" Set of 4 different designs, sold separately. Our Choice. 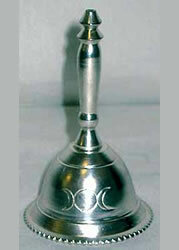 Silver-plated 3" with engraved Triple Goddess design. 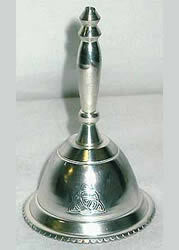 Silver-plated 3" with engraved Triquetra design.